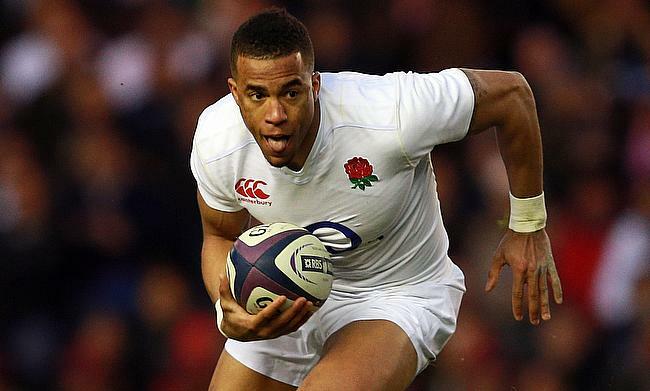 England international Anthony Watson is set to make his first comeback in 13 months after he was named in the starting line-up of Bath Rugby in the upcoming Gallagher Premiership clash against Sale Sharks. Saracens winger David Strettle has confirmed that he will quit professional rugby at the end of the ongoing season. Former England international and London Irish winger Topsy Ojo has confirmed that he will retire from professional rugby at the end of the ongoing season. Leicester Tigers have secured the signings of international centres Jaco Taute and Noel Reid for the 2019/20 season. Sale Sharks have confirmed that forwards coach Dorian West has penned a new two-year deal with the Gallagher Premiership club. Leicester Tigers have confirmed that former England Under 20 international Calum Green will join the Gallagher Premiership club from rivals Newcastle Falcons ahead of the 2019/20 season. Worcester Warriors have confirmed that England international Ben Te'o will exit the Gallagher Premiership club at the end of the ongoing season. London Irish have earned a promotion back to the Gallagher Premiership after they went on to win the Championship title in the 2018/19 season. World Cup winning South Africa international Wynand Olivier has confirmed that he will retire from professional rugby at the end of the ongoing season. Northampton Saints have confirmed that centres Andrew Kellaway and Nafi Tuitavake will exit the Gallagher Premiership club at the end of the ongoing season. Worcester Warriors have announced that lock will switch to Gallagher Premiership rivals Newcastle Falcons a the conclusion of the ongoing season. Worcester Warriors will miss the services of winger Bryce Heem for the remainder of the season after he was handed a four-week ban. Premiership Rugby CEO Mark McCafferty has confirmed that he will step down from his role at the end of the ongoing season. Sale Sharks have confirmed that prop Alexandru Tarus will leave the club at the end of the ongoing season. Australia international James Horwill has announced that he will retire from professional rugby at the end of the ongoing season. Wasps have kept their hopes of play-off alive as they went on to beat Exeter Chiefs 19-26 in the 19th round of the Gallagher Premiership at Sandy Park on Sunday. Ian Madigan scored the decisive penalty in the closing stage as Bristol Rugby went on to edge out Saracens 23-21 in their Gallagher Premiership face-off at Ashton Gate. Alex Mitchell scored the decisive try in the closing stage and James Grayson followed with the conversion as Northampton Saints went on to seal a 19-20 win over Harlequins in the 19th round of the Gallagher Premiership at Twickenham Stoop on Saturday. Gloucester Rugby have strengthened their chances of play-off in the ongoing Gallagher Premiership after they went on to beat Bath Rugby 27-23 in the 19th round at Kingsholm on Saturday. Leicester Tigers' bid to avoid relegation has taken a major boost as they edged out Newcastle Falcons in the 19th round of the Gallagher Premiership at Kingston Park on Friday.